Columns are manufactured from clear finger -joint pine. 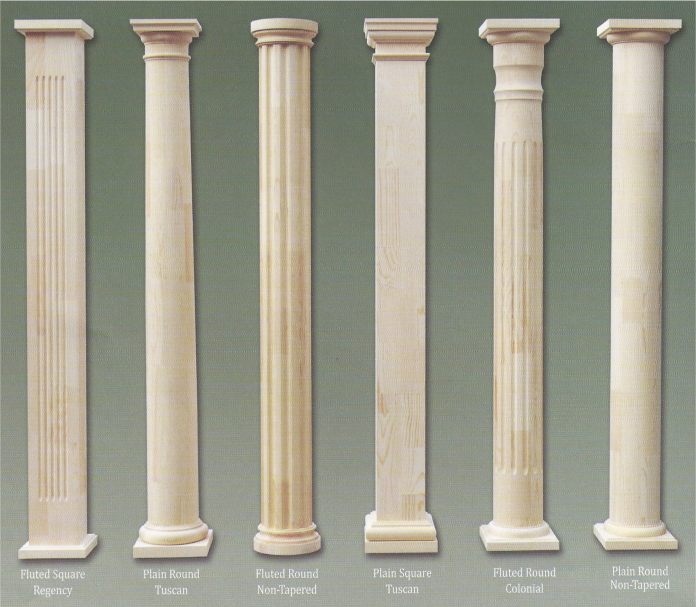 Column heights include cap, base and turned shaft. Caps & bases attach to the ends of the column shaft. Exterior applications require Aluminum base. Select woods: Oak, Maple, Birch, Mahogany, Poplar, Pine etc. are available for interior use only. (Max. trimming of 6") unless specified otherwise.